An audit into Halifax Transit’s bus maintenance department has discovered the repair garage in Burnside is behind the Ragged Lake garage in bus checkups. The audit, which was done from April 1, 2016, to May 31, 2018, was released on Wednesday at a meeting of the audit and finance standing committee. It focused on how well transit manages maintenance and inventory. Halifax Transit has a 10,000 km limit on buses before they need to be inspected for performance issues. At the Burnside garage, 66 per cent of buses were over the limit by 1,000 km. There were only two per cent of buses that went over the limit at Ragged Lake. 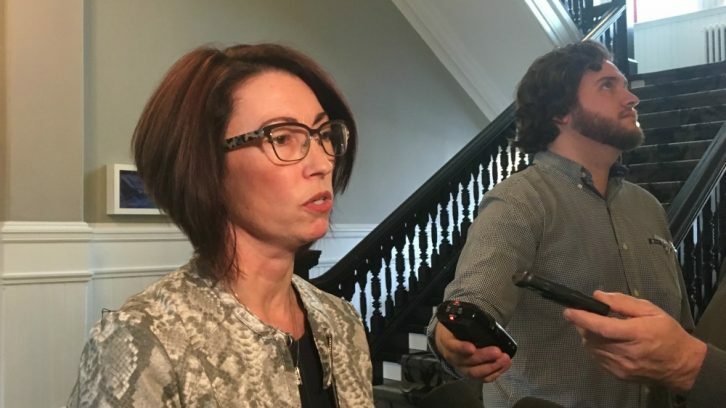 “You wouldn’t expect at 10,001 km maintenance would be done, but you would expect that management would have a range that they consider reasonable, and whatever that maybe, that is their goal to get buses in within that range,” said Evangeline Colman-Sadd, auditor general for the Halifax Regional Municipality. David Reage, director of Halifax Transit, said they will look into the difference between the two garages. “Our next step will be to go away and dig further into that and come back with a detailed action plan to figure out what those core issues are, and how to best address them,” said Reage after the committee meeting. The report said Ragged Lake schedules a bus checkup by anticipating when it will be needed. Burnside schedules it after a bus reaches the limit. It also found that Ragged Lake was at operational capacity, while Burnside was over capacity for bus maintenance. Management told the auditor general the capacity issue at Burnside is affecting repair work. Reage said it would be speculative right now to suggest there is a connection between capacity and timely maintenance. Halifax Transit needs to determine why there is such a big difference, he added. A consultant is looking into how to fix capacity. Recommendations are expected in March. Transit needs to properly track if mechanics’ licences are valid. Six out of 94 mechanics’ licence renewals were not properly tracked and two did not have their licences renewed. Transit needs to look into the cost of a system to track small equipment. Transit needs to start tracking inventory changes. Many employees have access to the storeroom or inventory logs when they don’t need to. For example, 296 employees had access to the storeroom, but that number dropped to 46 when it was brought to management’s attention by the audit. Transit should only give people access if they require it for their jobs. Seventy-nine of 201 warranty items for 30 tested buses were either not recorded or recorded incorrectly. The audit recommends this be fixed. Transit should find a way to measure the average kilometres a bus will travel before failure. Halifax Transit accepted all recommendations and said it will work on fixing the problems.